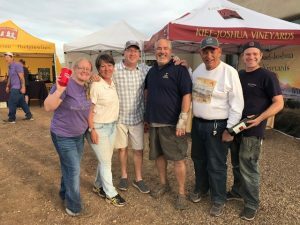 This season is prime time when it comes to Arizona food and wine festivals, and we hit one of the coolest and most creative of the year for this weekend’s show, live from the Professional Chili Cook-off and Winemaker Faux “Chopped” Cooking Challenge at the beautiful Kief-Joshua Vineyards in Elgin! Our celebrity co-host was Ted Fichtl, former national executive director of the Chili Appreciation Society International! Ted shared a little about his passion for the “bowl of red” and walked us through the Winemaker “Chopped” Challenge that happened earlier in the day. 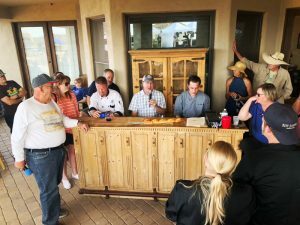 We then sat down with four area vintners who showed off their culinary creds in the Chopped-esque contest; Ann Roncone from Lighting Ridge Cellars, Gary Elam of Village of Elgin Winery, Lori Reynolds of Sonoita Vineyards, and Kief Manning of Kief-Joshua Vineyards. They chatted about their perspectives on food and got us current on the latest news from their wineries. So who won the cooking challenge? You’ll have to listen to learn!